All herbs are not created equal. A tonic is something you can consume daily with no ill effects. Nettle is a good example of a tonic. Oat straw is another. In common parlance, these are “super foods” (just a whole lot cheaper). Consuming them daily is like putting money in your health bank. A medicinal herb is consumed on a limited basis. Echinacea is a good example of a medicinal herb. It’s something you’d consume if you feel your immune system needs a boost to deal with a specific situation. You would not and should not take it every day. In the case of echinacea, daily use reduces its efficacy. Then there is the class of herbs that are poisons. Literally. Digitalis is a classic example of a poisonous herb that can have health benefits, but just like the toxic products of Big Pharma it should only be taken under the close supervision of an experienced professional. Herbs in the poison class should only be taken on the advice of and under the close supervision of an experienced professional. Tonic, medicinal, poison: How can you tell which is which? Generally, if an herb is sold in tea bag form in a health store, it’s a tonic or medicinal herb. For liability reasons, you don’t see plants classed at poisons sold by mass market companies as teas – and that’s a good thing. Of course, if you want the health benefits of a medicinal (or even tonic) herb, you need to make a proper infusion (see directions here.) A quick dip of a tea bag in a tea cup will not do. A strong hot water infusion of peppermint tea to help settle an unsettled stomach will not hurt you. Neither will an infusion of nettle or chamomile. 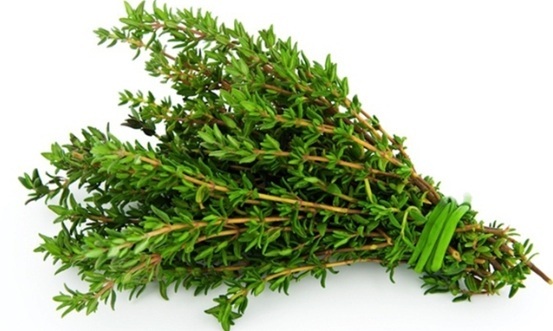 To further complicate things, some herbs need to go through an alcohol extraction process in order to be useful. Echinacea is a classic example of this. It’s only useful in tincture form. Hot water alone is not enough to extract its medicinal qualities. As a medicinal – and not a tonic – echinacea should only be consumed when you need it and only as long as you need it. There are some plants that generally should not be tinctured because they extract toxins along with the beneficial elements. Kava and chapparal are two examples of plants that should not be consumed as tinctures – even though they are sold in stores. Rule of thumb: If it’s sold in tea bag form in a box in a store, you can make yourself a proper infusion of that plant safely. Many herbs can safely be consumed in tincture form and when you’re traveling or otherwise don’t have time to make a proper infusion, tinctures are a good bet. Generally, if it’s sold in a health food store, a tincture is safe, but be aware that certain plants – and you can guess then by their very strong taste if you attempt to consume them raw – are best NOT tinctured. If it sounds a bit involved, it is. That’s why if you’re dealing with herbs other than tonics and medicinals – the kind of herbs sold in tea bags – it’s best to get professional advice and guidance.